Cabrillo National Monument, California. 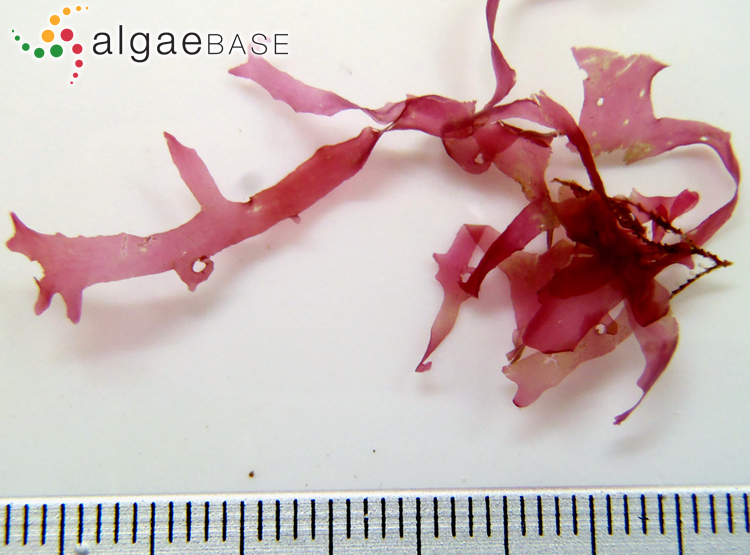 Low zone on rocks or epiphytic on other seaweeds, particularly corallines.. 07 Sep 2018. © National Park Service U.S. Department of the Interior. Spain, Galicia, Ría de A Coruña, 2009. 24 Oct 2011. Ignacio Bárbara. © Ignacio Bárbara (barbara@udc.es). South Africa; plants with recurved apices. Robert Anderson. © Robert Anderson (Robert.Anderson@uct.ac.za). lower intertidial, Spain, Galicia, Ría de Coruña, 2007. Ignacio Bárbara. © Ignacio Bárbara (barbara@udc.es). 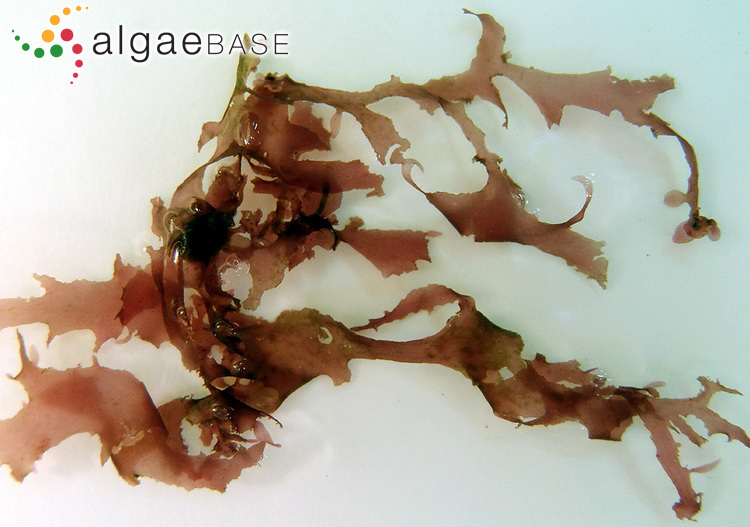 Type locality: King George Sound, Western Australia (Womersley 2003: 133). Lectotype: TCD, Herb. Harvey Alg. Aust. Exsic. 297B (Womersley 2003: 133). 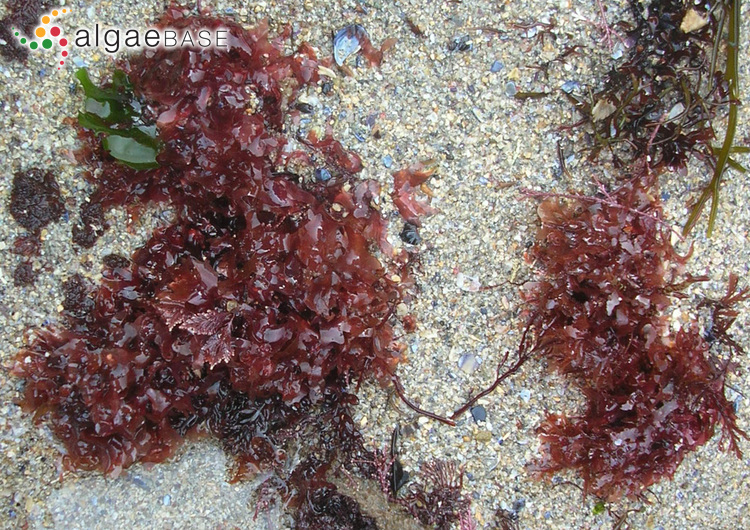 Flattened, membranous, deep-red fronds, 30-150(-200) mm long. Frond deeply divided into linear-lanceolate, irregularly branched segments, often terminating in hooks. Margins toothed, often ± proliferous. 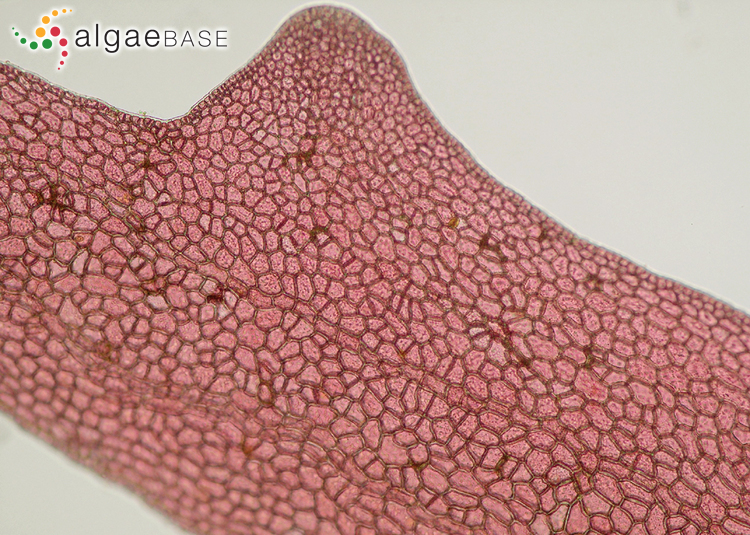 Frond traversed by network of microscopic veins, macroscopic veins absent. 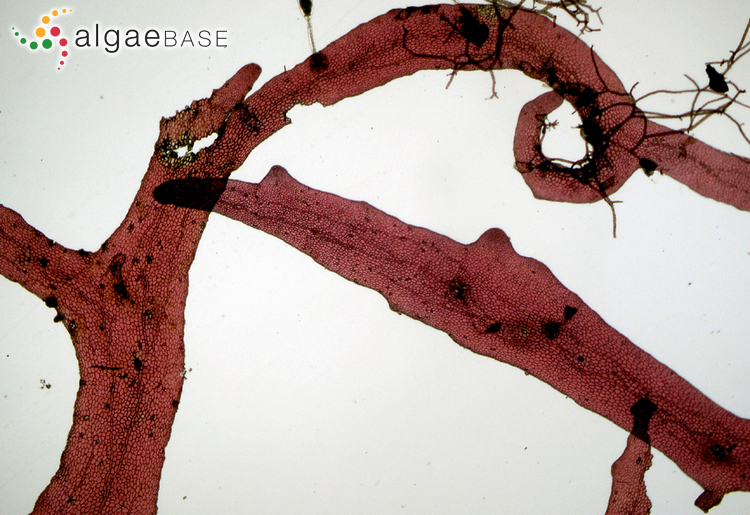 Womersley (2003: 131-133, figs 61, 62A, B) gives descriptions of the thallus and reproduction. 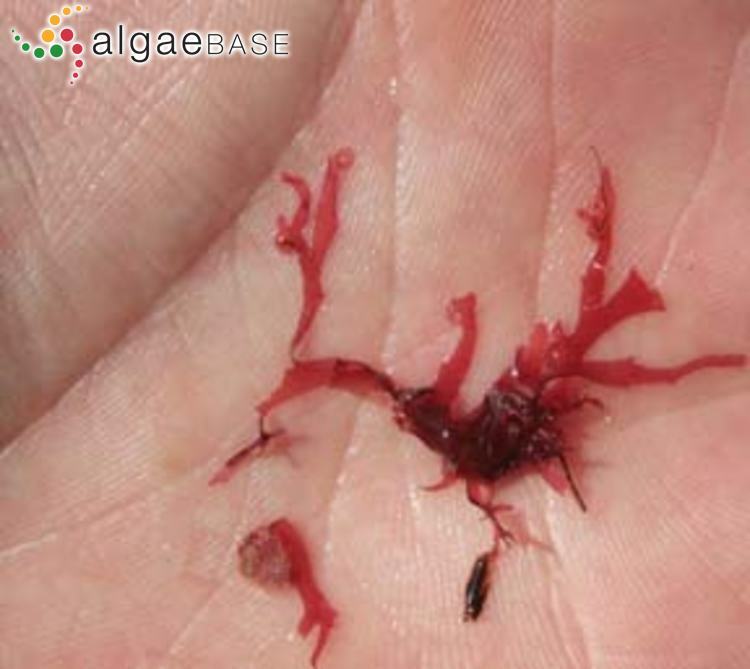 On rocks and epiphytic, lower intertidal and subtidal, widely distributed, occasional. Womersley (2003: 133) gives the following data: Occurs mainly in sheltered situations in calm waters, or deeper water on rough-water coasts. Accesses: This record has been accessed by users 6613 times since it was created. Gallardo, T., Secilla, A. & Escudero, M.C. (2008). 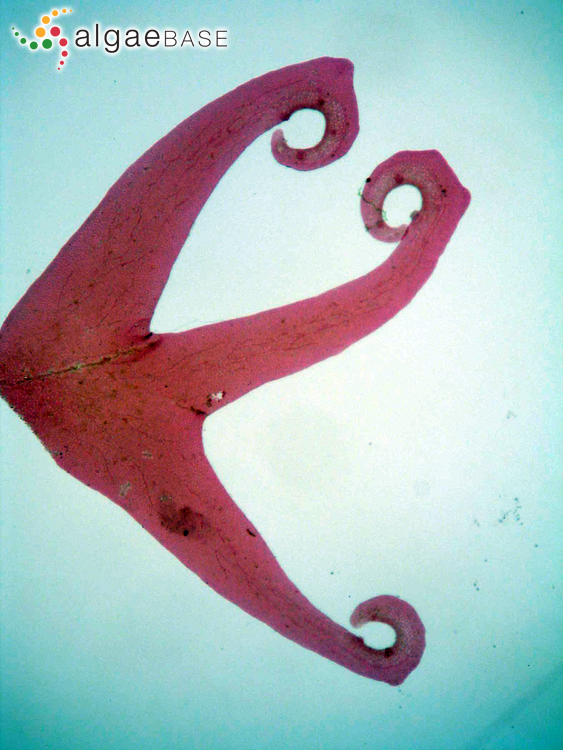 Sobre la presencia de cistocarpos en Acrosorium ciliolatum (Harvey) Kylin (Delesseriaceae, Rhodophyceae) en la Península Ibérica. 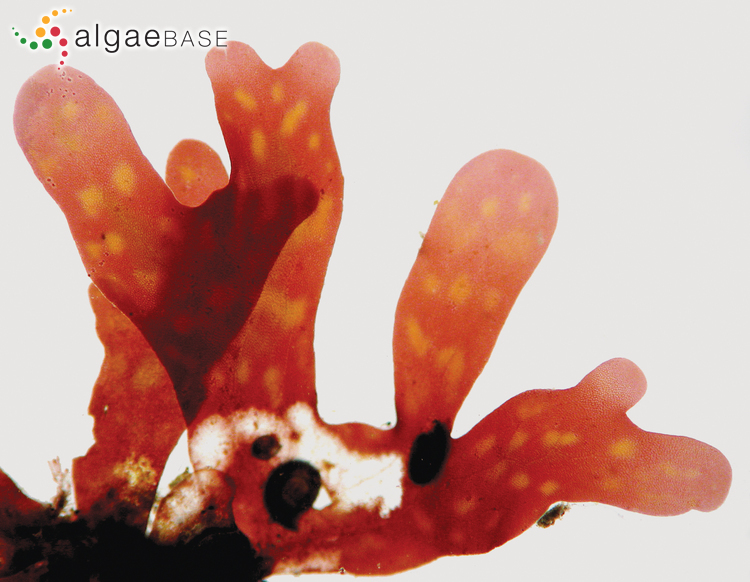 Algas, Bol. Soc. Esp. Ficología 40:6-7.